After the installation kit is assembled, the MapaWall is packed in its carton suitcase. We prepare this carton casing with several molds, which protect your newly born MapaWall against hazards during the transport. All pieces are gently put into place and are given special protective layers of carton and paper. Just like the MapaWall itself, most of the packaging consists of sustainable products. Once the MapaWall is packed, we store the map temporarily together with the other maps, until this particular model is ordered through our website. When so, the world map will be inspected and (if ordered) treated with oil. In case you have ordered the untreated version, the MapaWall will be offered to UPS for shipping the next working day. When you have chosen an oiled model we keep the map in our warehouse for one or two extra days. Like this the oil can set before it goes into its final casing. Once your package is finalized with some reinforcements, we will send you an UPS track-n-trace label through an e-mail. As from this moment you can see where your MapaWall is located and when the delivery is planned. 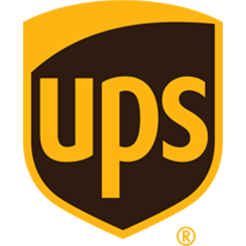 Because we trust only the best with our product, we’ve chosen UPS Capital (insured shipping) to be our partner in delivery around the globe.Before you know it, UPS will knock on your door and deliver your brand new MapaWall. Want to calculate the shipping fee for your location? Add an item in your shopping basket and fill in your Country, City and Postal Code. Our UPS calculator will do the rest.